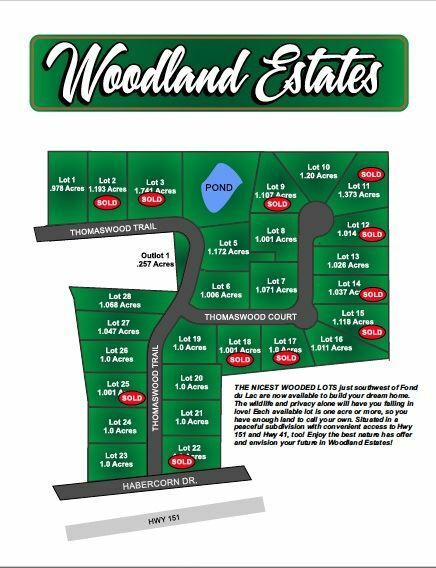 THE NICEST WOODED LOTS just southwest of Fond du Lac are now available to build your dream home. The wildlife and privacy alone will have you falling in love! Each available lot is one acre or more, so you have enough land to call your own. Situated in a peaceful subdivision with convenient access to Hwy 151 and Hwy 41, too! Enjoy the best nature has to offer and envision your future in Woodland Estates.